Surrounded as it is by sea, the UK has the largest offshore wind energy resource in the world, estimated to be more than a third of the total European potential. This is equivalent to three times the nation’s annual electricity consumption. Conservative calculations show that offshore wind alone could meet the latest government target of producing 15% of its energy needs from renewable sources by 2020. Every unit of electricity generated from the wind saves a unit generated from fossil fuels, therefore reducing emissions of greenhouse gases, pollutants and waste products as well as our reliance on international supplies of coal, gas and oil. Britain’s relatively shallow waters and strong winds extend far into the North Sea. 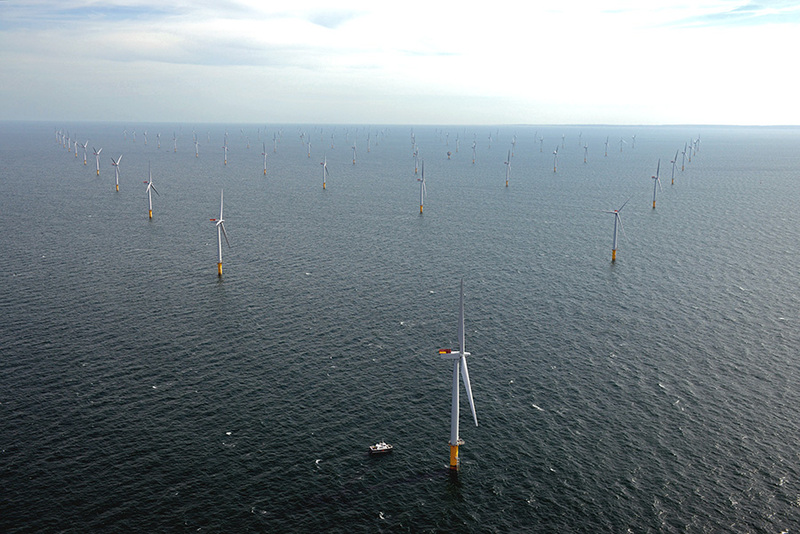 This unlimited natural resource, combined with government support and an established offshore regime, mean offshore wind farm development is set to increase steadily. This puts the UK in a good position to achieve its renewable targets. The offshore wind energy industry, particularly the huge projects planned as part of The Crown Estate's Round 3 development round, could also provide up to 70,000 jobs over the coming years - in the construction of components, installation process or longer-term operation and maintenance phases. The UK has the largest wind energy resource in the world.